Billbusters, properly known as the law offices of Billbusters, Borges and Wu, LLC.& Borges, LLC., was created when two of the preeminent bankruptcy and consumer rights law firms in the greater Chicago area merged on January 1, 2015. This merger of powerhouse firms formed one of the largest bankruptcy and consumer rights law firms in the nation and, to the best of our knowledge, the largest minority-owned bankruptcy and consumer rights law firm in the Midwest. Driven by a desire to offer the best possible representation to people struggling with financial problems, Billbusters was created for, and remains dedicated to, the proposition that all people, regardless of their financial constraints, are entitled to exceptional legal representation. The two firms that merged to form Billbusters as it is today were the Law Offices of Ernesto D. Borges, Jr. and Ledford & Wu. Ledford & Wu was formed in 2003 by Sara K. Ledford and Xiaoming Wu. The two worked together at one of the largest consumer bankruptcy firms in the nation when they decided to go into practice for themselves. Their decision was driven by what they believed to be a lack of individual attention and service provided to clients at the large firm where they were working. They wanted a smaller firm environment, where they would have the time and energy to dedicate personal attention to each of their clients. Having been successful in doing so, Ledford & Wu grew rapidly and by the time of the merger with Ernesto D. Borges, Jr., they too were amongst the highest volume filers of consumer bankruptcy cases in the greater Chicago area. The merger that created Billbusters, Ledford, Wu & Borges, LLC., better known as Billbusters, was a combination of strengths that has resulted in the creation of a firm with the power and authority of a large law firm while maintaining the personalized representation of individuals that has come to be expected of us. We pride ourselves on helping individuals and small business navigate through difficult financial times through a variety of means including, but not limited to bankruptcy, foreclosure help, debt settlement and negotiation, loan modification, mortgage forbearance agreements and much more. If you are struggling with any of these issues, contact us today. Ernesto D. Borges, Jr. graduated from Northern Illinois University Law School in 1984 and entered into private practice in 1985. 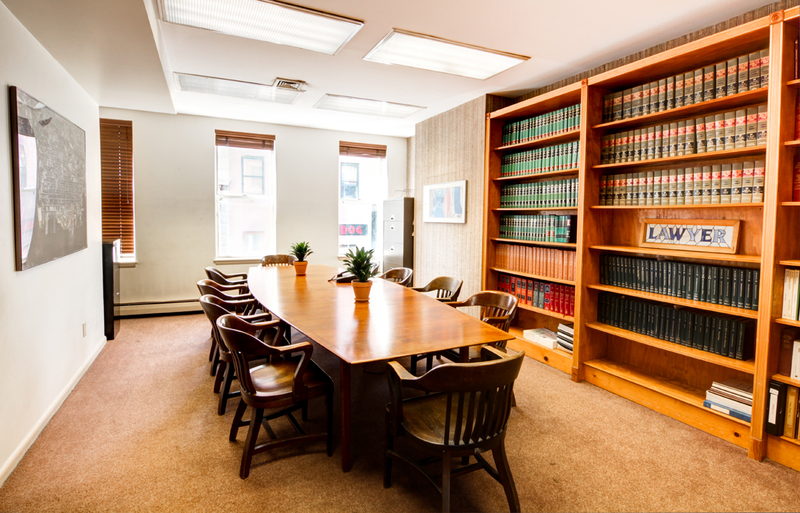 From 1985, Mr. Borges maintained a general practice firm, representing individuals not only in bankruptcy and debt matters, but also in criminal matters, estate planning, divorce and a variety of other legal practice areas. His passion, he discovered, was for consumer bankruptcy and foreclosure defense litigation. Mr. Borges found that he got immense satisfaction by helping people through their worst financial struggles and get onto the path of financial freedom. By early 1997, Mr. Borges had focused his practice on consumer bankruptcy, foreclosure defense and consumer debt relief. BillBusters focus and dedication remained steadfast, resulting in Mr. Borges’ firm to be amongst the highest volume filers of consumer bankruptcy cases in the greater Chicago area. Ledford & Wu was formed in 2003 by Sara K. Ledford and Xiaoming Wu. The two worked together at one of the largest consumer bankruptcy firms in the nation when they decided to go into practice for themselves. Two of the preeminent bankruptcy and consumer rights law firms in the greater Chicago area merged on January 1, 2015. This merger of powerhouse firms formed one of the largest bankruptcy and consumer rights law firms in the nation and, to the best of our knowledge, the largest minority-owned bankruptcy and consumer rights law firm in the Midwest.